This Tuna Fritters Recipe is absolutely cracking, and a variation on one of the most popular recipes in our nutrition archives, the Tuna Burgers, and Thai Style Tuna Burgers. 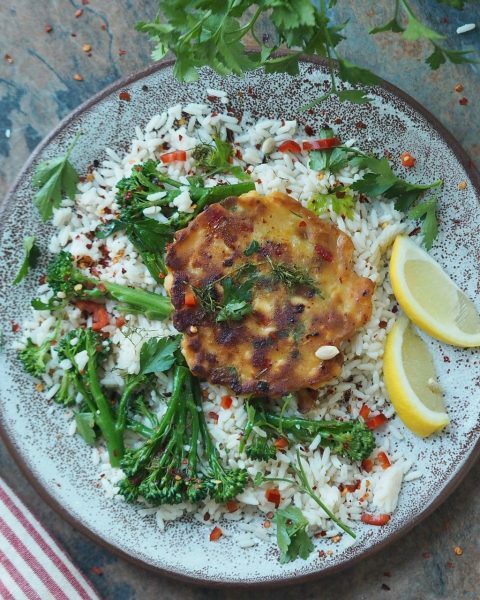 Our Tuna Fritters Recipe is easy to customise, and goes really well with our Moroccan Salad and Savoury Rice recipes. We also have vegetarian-friendly Courgette Fritters, which are well worth a try! Flake the tuna into a mixing bowl. Add the courgette, flour and egg. Mix together to make a batter. Heat the oil in a frying pan, over a medium heat. Spoon the batter onto the pan, into 2-4 fritters. Leaving some space between each one (the batter will spread). Cook the fritters for about 2-3 minutes on each side. Drain on paper towel and serve with rice and salad or an accompaniment of your choosing! You can find more delicious recipes on our nutrition blog, and read about our Transformation Guides by clicking on any of the icons below! Remember to follow us and post your workouts, progress and meals on Instagram, and use the hashtags #LDNMuscle and #LDNM so we can see your lovely creations, repost some and spread the LDNM Community far and wide!